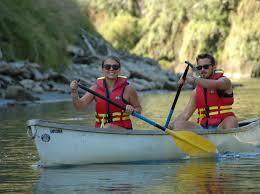 Are you Searching for Boating Adventures on Whanganui River? If you are searching for boating adventures on the Whanganui River At the start of the ride you will be given a tour map indicating approximate times, places of interest and historic sites to see. Later that day at a predetermined time, Bridge to Nowhere Tours will meet you at the Mangapurua Landing and transport both you and your bikes back to Pipiriki or the lodge if you wish to stay the night.